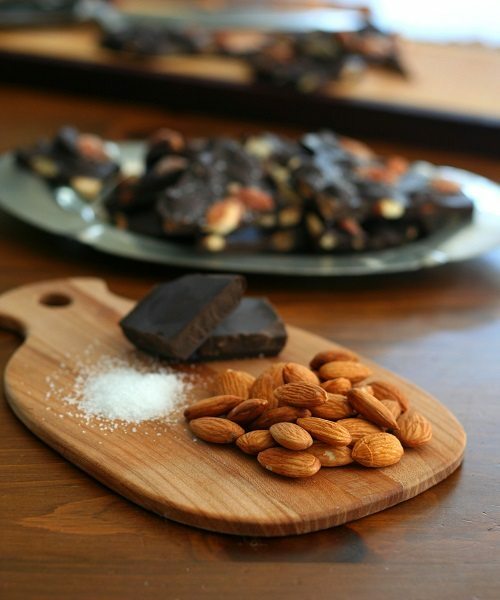 This low carb almond bark with sea salt easy to make and totally addictive. There’s a reason they call it low carb crack! 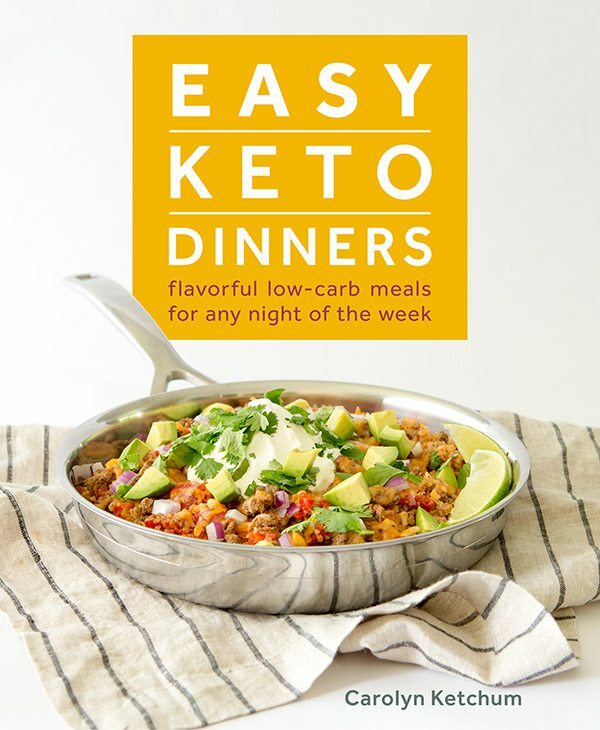 Easy to make and suitable for keto and paleo diets. A diabetic friendly treat. I like to say that this low carb almond bark is addictive but let’s take a closer look. There are good addictions and there are not-so-good addictions. Sugar is addictive. I will venture to say that this is almost indisputable fact. Anyone who has ever tried to break their sugar habit will agree with me, I am sure. It’s not something I thought about much until faced with a diagnosis of diabetes. I ate quite healthfully, but I always loved my baked goods and my desserts. Now that I’ve broken the habit, I can see just how addictive sugar really was. Eating something sweet always led to the desire for more sweets. The craving for more sweets. I often had enough self-control to stop at one serving. But sometimes I did not. Sometimes I definitely overdid it. And I swore I wouldn’t do it again, that I could have just a bit and be satisfied and stop. Until I was tired/stressed/bored, or presented with some gorgeous temptation, and I would fall victim to sugar’s sweet spell and overdo it again. Sure sounds like an addiction to me. I can’t say I’ve said goodbye to the sugar spell completely, because little bits do sneak into my diet here and there. Just last night, I had a taste of my husband’s dessert when we were out for dinner. But just one taste, and then I stopped. I can do that now, because I have the nagging concern that I will permanently damage my eyes, nerves and organs by indulging any more. That’s a pretty powerful method for breaking the addiction. I consider myself lucky. On the whole, I can forego the sugar altogether and still be satisfied. And here’s the thing about low carb and sugar-free versions of my old favourites: they taste just as good (dare I say better?) but are not nearly so addictive. For one thing, they tend to be much higher in fat, and thus much more filling. And because of the low carb and low sugar content, they don’t kick off that crazy roller coaster of cravings. Sometimes they taste so good that I find myself salivating at the very thought of them and can’t wait to have more, so I suppose that’s a sort of craving. But it’s not quite the same as the serotonin rush brought on by a sugary, carby snack. It’s much more manageable. Until now. Because I think I may have accidentally on purpose invented the low carb version of crack. Sorry, my friends. I probably shouldn’t even give you this recipe. I probably shouldn’t have brought up the subject at all. I should probably stop right now and erase the whole post and pretend I never mentioned it. Except I can’t. I have to share this amazing and definitely addictive little treat. It was so good, I found myself making up excuses to wander into the kitchen and have a wee bit more. And a wee bit more. And a wee… see a pattern here? Low Carb Crack. 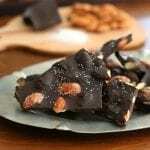 Low carb almond bark made with rich dark chocolate and a sprinkling of sea salt. 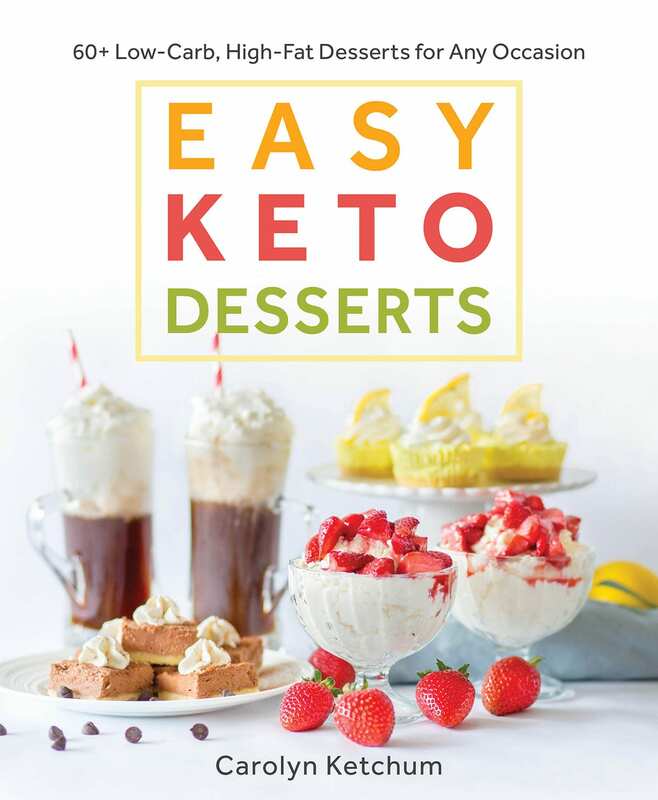 A delicious keto dessert recipe. In a medium saucepan over medium heat, combine Swerve and water, stirring occasionally. Bring to a boil and cook until mixture darkens, about 7 to 9 minutes. Mixture will smoke slightly; this is normal. Remove from heat and whisk in butter. Add almonds and stir quickly to coat, then stir in sea salt. Spread almonds out onto prepared baking sheet, breaking up any clumps. Reserve ¼ cup of the almonds and set aside. Stir remaining almonds into the chocolate. 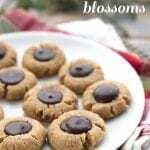 Spread out onto same parchment-lined baking sheet, keeping nuts in a single layer. Sprinkle with reserved almonds and additional sea salt. Chill until set, about 3 hours. Break with hands into chunks. 20 servings. Each serving has 5 g of carbs and 3 g of fiber. Total NET CARBS = 2 g.
Other nutritional information: 144 Calories; 14g Fat (79.8% calories from fat); 3g Protein; 5g Carbohydrate; 3g Dietary Fiber; 2mg Cholesterol; 32mg Sodium. What a delicious treat! I love how dark this beautiful bark is! This sounds amazing! Love the dark chocolate and sea salt combination! 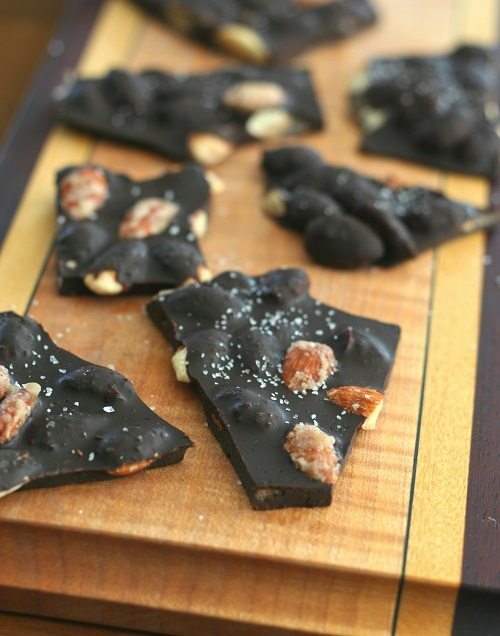 I love a little sea salt on top of chocolate bark ~ looks so good Carolyn! This looks so good! I’ve never used cocoa butter before and seeing the price of it, I guess I know why. Is there any substitute? Or is it worth the cost? There’s no real sub that will make your bark nice and solid, like real chocolate. Butter or coconut oil are softer and your bark will be the same. But you can certainly try. I personally recommend trying the cocoa butter at least once in a while. That 16 oz bag lasted me a good couple of months because I only use it for things like this. How do you store your cocoa butter? 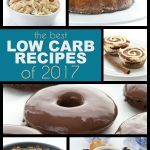 I love to make chocolates (low carb) and never even knew this stuff existed. Thanks. It keeps fine for a few months in the cupboard. It’s very hard and pure so it doesn’t go rancid quickly. Where does one find cocoa butter? I think you’ve mentioned this before but I can’t remember. Also, sadly, I’ve noticed that half the time I use erythritol I’ll get a bad stomach ache. That makes me sad because it takes so good and keeps my sugars in good line. Any thoughts? If you click on the link for Cocoa Butter in the ingredient list, it takes you to Amazon. I’ve never tried cocoa butter, either! I’m intrigued! Yes, that’s because people keep asking me about my favourite brand. I really like that Kakosi organic, it comes in a bag in small chunks and so it’s easy to measure out. Cocoa butter is very hard at room temperature, so when you get a huge chunk, it’s hard to cut up. 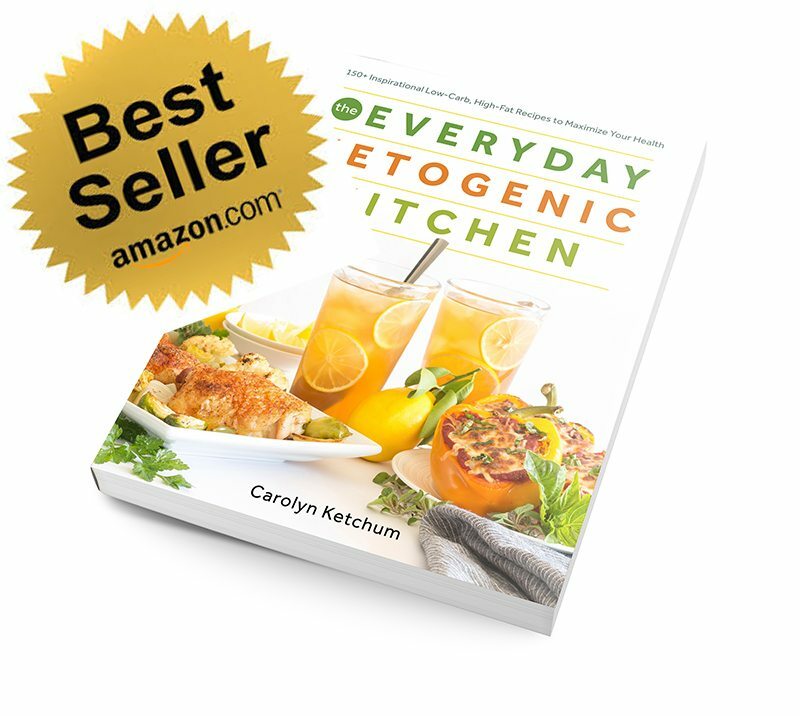 Hi Sarah….my thoughts on the erythritol…unfortunately, this happens to some folks. Rarely but it does. My best idea is to really reduce that amount and use more stevia in most of my recipes, but that won’t work for this one, unfortunately. You can’t caramelize stevia and it’s very bitter when combined with chocolate like this. Thanks! At least there are a lot of other recipes I can try the Stevia mix with. would this recipe work replacing swerve sweetner with xylitol ? Yes for the chocolate coating. I am not sure about the part where you coat the almonds because erythritol (Swerve) hardens well and sticks to the almonds. I don’t know that xylitol will do that but it’s worth a try. Xylitol is almost the same as swerve really. We use it almost exclusively. Should have added that we will powder ours in a coffee grinder. You can buy it powdered but it’s more costly. What exactly does the powdered swerve do? Could you blend up the regular swerve in a Ninja, do you think? Possibly. Might be a tiny bit grittier, but since it already has almonds and sea salt, you probably won’t notice. No matter how good your ninja is, you wont’ be able to powder it as much as commercial brands can, but you can certainly try that. I’m trying to figure out how much is one portion. I know it is one twentieth of the whole recipe, but how big is it? How much does it weigh? Is it just a teensy little bit of chocolate crack, or is it a satisfying serving? Good question. Since you break it up with your hands, it’s hard to quantify but I just thought about how much of it we ate in one sitting (not including me going back for more several times into the kitchen!). It’s not a tiny piece, I’d say it’s about half the size of a regular chocolate bar. Which is a very reasonable amount for a serving size and if you give in and have two pieces (or a bunch of little broken pieces), you’re still keeping it in the 4-5 net carb range! 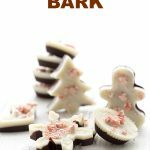 Thank you so much for all your great chocolate (and other) recipes ! I was diagnosed in April and was keeping my chocoholism in check but really having trouble not “cheating” and the cravings were getting progressively worse until I came across your website about a month to two ago. 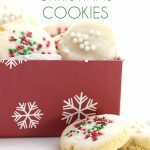 My cravings are in check and the “cheats” have been replaced with much healthier alternatives thanks to all your wonderful recipes. You are an inspiration. Thanks again! That’s great news, Sherrie. Honestly, chocolate itself isn’t high carb, it’s all the sugar that’s added to it. That made me very happy to discover! I want to pin this…but I can’t. I can’t do this to myself. Okay, I can. No. No I can’t. But I want it. This would be my perfect dessert over anything else! The salty with the sweet is the best and I love how they look Carolyn! Way to go! Totally agree about the sugar addiction to white refined flour and sugars! I’m a testament as well to the fact that I rarely ever even crave or want sugary carb loaded desserts when others are eating them. This is going to be my go-to treat in the coming months…thanks! This looks amazing! A little bit of dark chocolate is always so satisfying. It looks and sounds amazing. What an inspiring story, too. Would love to try this recipe but can not find the swerve sugar especially the confection. Is there a different brand that can be used? You can try other brands of erythritol, I know there are some powdered ones, but they may give you a cooling sensation like mint. b) cheaper than at amazon. They had 2 different brands, and I grabbed the one that came in chunks (the other one was one solid block). I thought that was the end of that story, until this morning when I actually looked at the receipt and realized that the charge for it was only $8.99. Do whith that information what you will (I know not everybody has a whole foods nearby); for myself, I’m going back tonight after work and getting maybe 2 more lbs which I will keep in the fridge till about Christmas, since I think this bark will make for delicious presents for a some very special people. Made this today and it came out amazing! This was my first time working with cocoa butter but I don’t think it’ll be my last, thanks and keep the amazing recipes coming!! I am a bit confused. There are two places where you say to add the almonds into a mixture & spread the almonds in the pan. Do you use just half to mix into the Swerve, water & butter mixture; and then the other half when you mix them into the chocolate mixture ………. or am I just too senile to understand? Thanks for all the great recipes and ideas – and your hard work. Hi. No, you need to spread them in the pan after you’ve covered them in the sweetener/butter/water mixture and let them cool. Then you make the chocolate, and you toss them back in (keep a little out to sprinkle on top). YOu spread the chocolate/almond mixture out again, sprinkle with the few that are held back, and then chill it. Is ther any reason one couldn’t use sugar. I really have a distaste for the substitutes. And if so, how much. Thanks so much. Use sugar in the exact same amount. Now, how do you recommend storing this? Thanks! Oh my goodness…..so many grammatical errors! Never edit without rereading….lol…. Store in the fridge for the most part. I took some up to Maine with me over the weekend, though and it held up just fine. The chocolate did get a little “grey-ish” after 4 days out of the fridge but it tasted just as good. Thanks for the response—and sorry about not clarifying that it was MY writing to which I was referring!!! Another note….took a few pieces of this to work today and shared with some co-workers. They ALL asked for the recipe! 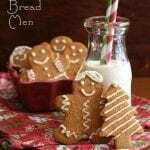 I directed them to your blog and will give them a printed copy of the recipe with the URL at the bottom. I tried a modified recipe of the bark today and ran into a few problems. Would appreciate your help – my erythritol recrystallized and the bark does not look as smooth as yours. I used butter instead of cocoa butter (thought I’d try it out and if it turned out good would buy the cocoa butter). I used an equivalent amount of butter for half the recipe (4 tbsps) – could that be a reason? Thanks. Hi Bindi…what kind of erythritol did you use and was it powdered? And yes, butter will change it a lot, it will be very soft and won’t hold up as well. That might also be the issue for the re-crystallization, but I am not really sure. I used NOW brand. I usually use Sensato powdered which I get from Netrition but this one says powdered crystalline. I guess that just means finer crystals. But it dissolved completely in the water+butter mixture before putting in the almonds but recrystallized almost immediately. Some erythritol will do that, unfortunately. I’ve used NOW brand, a long time ago. I think Swerve is much better for this recipe. I love this stuff! We are down to the last couple of pieces now. 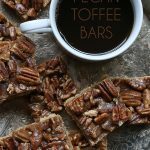 (sniff) A low carb friend mentioned that they really like milk chocolate and I wondered if this recipe could be altered in any way to make it more like milk chocolate? What do you think? Milk chocolate requires milk solids to be mixed into the chocolate and that’s not easy to do without heavy duty equipment. I don’t know that I’d even try. Carolyn, you are such a gift!!! FYI for those having trouble finding cocoa butter: I called all the health food stores and got a bunch of “no’s” from them all. I went to one anyway and found the Now brand in Cosmetics. The jar and their website clearly say 100% food grade (Now gets it from a candy company). Don’t give up. Oh and Carolyn, you’re a gift (again)!!!!! Hi Carolyn. I made this over the weekend but I had some trouble spreading the chocolate mixture out in the pan. My mixture was thick and difficult to spread. I even tried putting it back in the pan and heating it for a 5-10 minutes, but it didn’t make a difference. It still tastes good, but it is thicker and doesn’t look nearly as good as yours. Any idea what the problem could have been? I used powdered Swerve and all the other ingredients, as listed. Hmmm, it should be completely pourable. What kind of cocoa butter did you use? Sounds to me possibly like your chocolate seized for some reason. Thanks for the quick reply. This is the brand I used. It was the only one they stocked at my local health food store. I wonder if this could be the culprit? My health food store tried to sell me the same thing and I noticed that it was “ao” not “oa” for Cocoa butter. The person helping was pronouncing it differently than what I was saying so that’s what tipped me off and I noticed the spelling was different. But good to know that it still tasted really good. I just might try it now. Cacao and cocoa are really actually the same thing. Cocoa comes from the cacao plant, and there are cacao nibs, etc. So some people label it as cocoa butter and some as cacao butter. I don’t think it would be, because the Navitas brand is supposed to be pretty good. Although it does say it’s raw so maybe that has an affect? I don’t know. But it should be fairly runny when hot, so that you can pour it out onto the tray. If you try it again, go lightly on the cocoa powder at first. Combine the cacao butter and chocolate and sweetener and then do 1 tbsp of cocoa powder at a time until you have a consistency you can still pour. Thanks for the suggestion. I’m sure I will make it again and I’ll be more careful about incorporating the cocoa powder. I definitely wasn’t pouring from the pan, but rather coaxing it out with a rubber spatula. As I mentioned, it’s very tasty, but not as pretty as yours. I had the same issue. When I put the cocoa powder into the mixture, it turned into a dough. 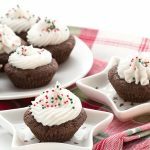 Is 3/4 CUP the right amount for the cocoa powder? Mine was definitely not pour-able. Yup, it’s definitely the right amount. What brand are you using? You can try it but I have no idea if it will work. My husband and I are currently cutting back on sugar! Can’t wait to try this .. I am craving something sweet! Tried it last night. Went horrible. So I didn’t read the comments where it clarifies putting the almonds into the chocolate. So I poured the chocolate over the almonds and it resulted it a gooey mess on the bottom. And the sea salt melted into the chocolate. And it never hardened completely so it’s more like fudge. I am sorry it didn’t go well for you, but I am not sure that pouring the chocolate over the almonds would result in a gooey mess and it not completely hardening. I am pretty clear in my instructions that all but 1/4 cup of the almonds get stirred into the chocolate, but either way, the chocolate should harden up properly if you are using cocoa butter. What brand did you use? And what brands of chocolate and cocoa powder? Whwn I open my recipes in the Zip it opens, hard to scroll and then shuts down the wholw site. I don”t have this happen in anyother site. If I go to your recipes and open it at that point it stays open. In the ox it says to click for further instructions and that is when it happens. Any suggestions? I think you will need to contact the folks at Ziplist directly and see what’s up! So sorry about that. Wow, I had better reread my emails before I send them out. Thank you for your comment. Love your site. Hi Jane…this actually comes out to almost the same thing. The tough part is what they are calling a “serving” differs. Baker’s says a serving is 1/2 a square which is 14g (also half an ounce). But Ghirardelli is calling a serving at 42 g, which almost 2 ounces! HUGE difference. When you do the math, it comes out like this. Ghirardelli has 4.3 g of carbs per half-ounce compared to Baker’s 4 g per half ounce. And Ghirardelli has 2.1 g of fiber. So almost exactly the same. If you want to check my math, do this… 14 g of carbs x 2.5 servings per bar (I have one right in front of me, that’s how I know the exact numbers!). Then divide that by 4 ounces. Then divide it again by 2 because Bakers says 1/2 an ounce is a serving. Voila! I prefer Ghirardelli…it melts better, seizes less and tastes better. Just my 2 cents. Thanks again for figuring that out for me–I’ll be more careful in my figuring next time. No worries at all. It’s hard when every company considers a serving size very different! I feel like an apple is candy too…I save mine to eat before a workout to help me burn the sugars. 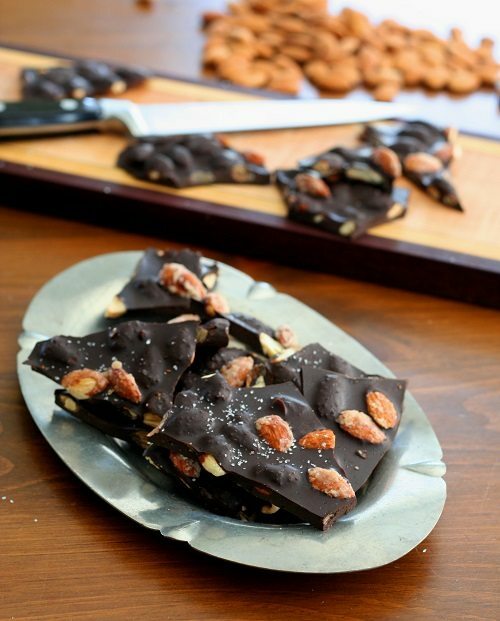 Carolyn, I made this bark for Christmas gifts this year… I am sought after at this point! What a joy… A very ‘sweet’ benefit for me is to witness people enjoying my labor of love. Thank you… Absolutely delicious. Each batch turned out slightly different. First batch was a mess because my heat was too high on the chocolate (even tho very low) and it wouldn’t pour. Personally the best batches were a very thin layer of bark and extra salt on the almonds during the Swerve coating phase. Also…. Is there a way to get the almonds simply glazed without too much crusted Swerve? I couldn’t figure out what was making the difference in texture…. A bit late to the game on this one…but I’d like to try making this. Can it be stored out of the fridge? Or must it be chilled until eaten? I’ve made myself a little snack at night by mixing cocoa powder, swerve, a little stevia, a pinch of sea salt, coconut butter and a bit of coconut oil…mixing super well, spreading out and popping it into the freezer. This stays solid for about as long as it takes to eat it 🙂 What I’d expect with coconut oil/butter. Will yours stay solid after setting due to the cocoa butter? That was a super long winded question! I stored mine out of the fridge. There isn’t much in it that will go rancid or bad, as long as you consume within a week or so. It will stay solid…it has the consistency of regular chocolate. The cacao butter makes a world of difference, although I do love the flavour of coconut oil and chocolate together! Can I sub Truvia for the Stevia in this, and if so, will it still darken and smoke? I know I’ll need less Truvia, and can make that adjustment, no problem. Other question – I’d like to make variations on this for use with dipping fruit like raspberries or apple slices, or to mix with coconut, etc. Can I just eliminate the salt and almond mix, and just use the chocolate mix? I use 3.5oz Ghirardelli 72% cocoa bars, so I would have to adjust the rest of the items accordingly and swap the Stevia for Truvia, but I think it would work, yes? I am not sure how Truvia will behave when you try to caramelize it. I think it should be okay but it may not darken as much. For the dipping, go ahead and skip the salt and almonds etc. That should be fine. I made this tonite, Carolyn, with the Truvia. It did not darken like the Swerve, but it did smoke, and it coated the almonds nicely. One thing I think I did wrong, tho – it takes less Truvia, and I neglected to reduce the amount of water equally, so that may be why it didn’t turn dark. I also did not use powdered Truvia, but it mostly melted in the chocolate, and with the almonds, you don’t notice it. Next time, I will find a way to powder it, maybe with my coffee grinder. I also wanted to portion this evenly, so that I could control/count my caloric intake, so I used a silicone mini loaf mold, and got 36, 1/2 oz bars out of it. I just put two almonds in each cavity, and filled them up with chocolate. I had a bunch of extra almonds, but just bagged them and stashed them in the fridge – I plan another batch tomorrow. It worked well, the portions are all the same so I can control my intake, and the bars are pretty, too! I’m taking a bunch with me to a luncheon tomorrow, and I’m betting they will be the hit of the party. You can believe I’ll be handing out your website a lot! Thanks for all your help! Good to know about the changes with Truvia! I like what you did to have small portions, great idea. LOL, took the whole batch with me to the luncheon today, Carolyn, and now I have to make me a batch, ’cause I came home empty handed! The ladies raved about it! Gonna try powdering the Truvia, see if that works any better. Hi Caryoln, I made this bark/crack last night and it is over the top delicious. I can’t begin to explain how happy I am that I can eat delicious chocolate and stay sugar free. I myself love dark chocolate but I am wondering for people who prefer a lighter chocolate could you add cream to this and maybe cut the cocoa butter a little? I don’t have a technical answer for this, I just felt my way through it until the chocolate came out right. Unsweetened chocolate doesn’t combine all that well with the sweetener on its own, so more cocoa butter in the mix allowed me to get things quite melted and stir in the powdered Swerve. Has anyone tried butting bacon bits in this? Just saying, sound like a yummy idea to me. As soon as I get cocoa butter I’m going to make that happen. I just got cocoa butter and am looking forward to making this soon! Since “large baking sheet” is very subjective, I’m wondering if you know the size of your pan. I’m guessing it’s rimmed, too? I’m curious about the size of the pan because that will really affect the thickness of the bark once the mixture is poured in. Thanks! It’s a rimmed half sheet, probably about 11 by 17. The bark won’t fill up the whole thing anyway, though so if you used a bigger one, it wouldn’t matter. I was thinking it might spread out all over. Good to know! Where can I find food grade cocoa butter? I cannot seem to locate any. Thanks! Mine is dry and crumbly what did I do wrong? I can’t really say without more info. What brands of cocoa butter, cocoa powder, and unsweetened chocolate did you use? No one else I know has had this particular issue. 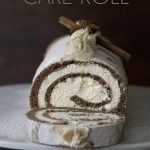 This recipe looks yummy and I must try it! Glad you managed to save it. I wonder if your cocoa butter had gone rancid? I have my chocolate chilling right now. It looks absolutely fabulous! The chocolate I tasted from the bowl was amazing (used a bowl over a pan of water, as suggested). Even more amazing were the ‘candied’ almonds! I had no idea that erythritol could even DO that — with a bit of cinnamon, they would have tasted exactly like the candied almonds you can get at festivals in the fall here. I was almost sad to put them in the chocolate. 🙂 The great thing is my son LOVES candid almonds, so I am going to make him some (maybe for Christmas). So, two great things from one recipe! Oh, one question — I was not sure how ‘dark’ the erythritol and water were supposed to get? I boiled it for 8 minutes, and figured that was as dark as it would get. It was darker than when I started, but not a caramel brown or anything….is there a particular darkness to strive for? Glad you liked it! Swerve will caramelize a little more than regular erythritol, and it should go a nice amber colour. That’s about right. 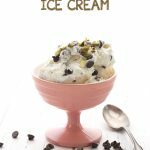 I tried this recipe yesterday and it was absolutely delicious! I just tried making this, and the Chocolate mixture turned out VERY thick. Not a liquid anymore. As far as I can tell, I followed the instructions exactly. Is this how it is supposed to be? If not, where could I have gone wrong? No, that’s definitely not how it’s supposed to be. It sounds like your chocolate seized. What brand of unsweetened chocolate and/or cocoa powder did you use? I realize this is an older post but I’d like to thank you for the recipe. I made it and it is the best chocolate recipe I’ve tried yet. I’ll be using it for all my chocolate needs. Mine seems to be suuuuper sweet, I’m just going to add a bit less swerve next time. Thanks!! Hi! 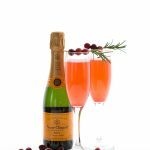 I just made this tonight with all the right ingredients and everything was going great until I added the vanilla! It caused the chocolate to sizzle and and thicken up like it was burnt chocolate. It was the strangest reaction ever!!! We quickly added the almonds back in and added a touch of heat with no luck! The chocolate is crumbly and flat looking:( have you ever heard of that? I’m using swerve and food grade cocoa butter, with bakers unsweetened chocolate and trader joes cocoa powder. Yes, your chocolate seized. This can happen when you add a liquid to unsweetened chocolate. Because it sizzled, it sounds like your chocolate mixture was too hot when you added in the vanilla. Also I find Baker’s chocolate very prone to seizing like that and I always use Ghirardelli. 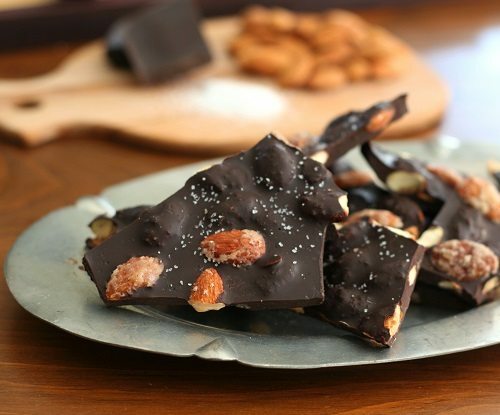 Hi Carolyn – I have a question about the quantities in the lovely Dark chocolate sea salt almond bark – last weekend I made it for the first time – it was truly scrumptious. I eked it out over the whole week, and set about making some more today. Something went very wrong. Same ingredients, same everything, but when I added the cocoa powder the mixture suddenly became almost too thick to stir, and went very granular. Last weeks’ mixture stayed liquid and glossy – my mixture this time bore no resemblance to last week’s wonder. 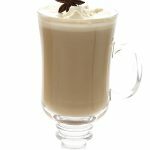 Being English and newish to cup measuring I find the measurements very inexact – does one push the cocoa powder down, or just leave it fluffy? The only thing I can think went wrong today is that I somehow got more cocoa powder into the mixture this time. Now, my question – I was wondering if you could quantify the cocoa powder, and Swerve, by weight, as you have for the unsweetened chocolate? Since my failure today I’ve tried measuring 3/4 of a cup of cocoa, and weighing it, both pressed down and left fluffy, and it varies from 2oz to 4oz. I imagine this would affect the finished product immensely – your expect advice would be so appreciated. Thanks for your lovely recipes – I’ve also made the bacon, sundried tomato and cheese scones – to die for! Yes, cup measurements are notoriously inexact, but I can’t go back and quantify every recipe by weight. The only reason I do weight for the unsweetened chocolate and cocoa butter is that this is how it comes from the manufacturer. I never, ever pack my ingredients into the cups, so make sure you leave it loose and unpacked. Were you using the exact same brands this week? Another issue could be the heat. Chocolate seizes with too much heat. I have a gas stove so I can control the heat very easily, but electric stoves are much harder and tend to produce more heat. You can try doing it in a bowl set above a pan with some water in the pan. Similar to a double boiler. This produces more gentle heat. 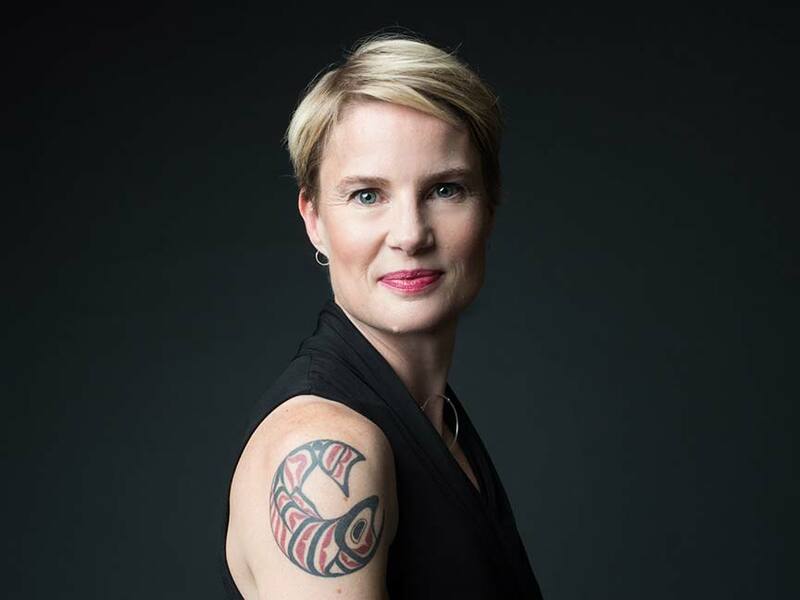 Hi Carolyn – thanks so much for the advice, and you nailed it! My ingredients were all the same but I obviously overpacked the cups, and there was clearly too much heat. I too much prefer cooking on gas, but we have an electric hob here. I do have a double boiler so will use that next time. Also, I have to confess I was probably trying to be a tad too clever – by making two batches simultaneously! My husband wanted me to try making it with sliced almonds, whereas I love the chunk and bite of whole almonds . . . . . Next time I will just concentrate on one batch, not pack the cocoa powder and use the double boiler – and I’m sure it will be perfect again! Thank you so much for taking the time to answer my queries. Electric is so much trickier to get the right heat. A gentle simmer of water under a metal or ceramic bowl, or a double boiler, works well to get that more gentle heat. Hope it works next time! The other thing you can do if it seizes is to add some butter or coconut oil, a tbsp at a time, until it smooths out. This doesn’t always work, though. Thanks Carolyn for the rescue tip! Sounds a bit like rescuing hollandaise sauce when it splits. I will be much more careful next time, but have the rescue plan in mind should it become necessary. Obviously beginner’s luck the first time! I checked my Whole Foods yesterday, and not only do they not carry it, three out of five clerks did not even know what it was – kept trying to sell me coconut butter. The last one said they used to carry it in a 1 lb slab, for $25, but that no one bought it so they discontinued it. I even checked the cosmetic department, no luck there either. Finally went to Amazon, so will have mine tomorrow. I’m also going to try this with Truvia, I’ll let you know how it turns out. 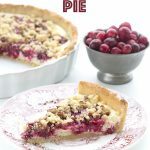 I also plan to tweak it for use as a coating for fruit like raspberries and sliced apples, as a plain mint candy, or with other nuts or shredded coconut – sans salt for all but the nuts. It will be nice to have some chocolate back in my diet, other than plain dark chocolate. Sorry, was referring to cocoa butter! Yes, I always buy mine on Amazon. Thanks so much, Carolyn. I’ll let you know how the Truvia works. BTW, I really appreciate your site, it’s been a true sanity saver since I embarked on my low carb, gluten free diet last October. I especially love that you do the nutritional analysis, as many sites don’t bother, and it’s info I need. Thanks for all you do for us!